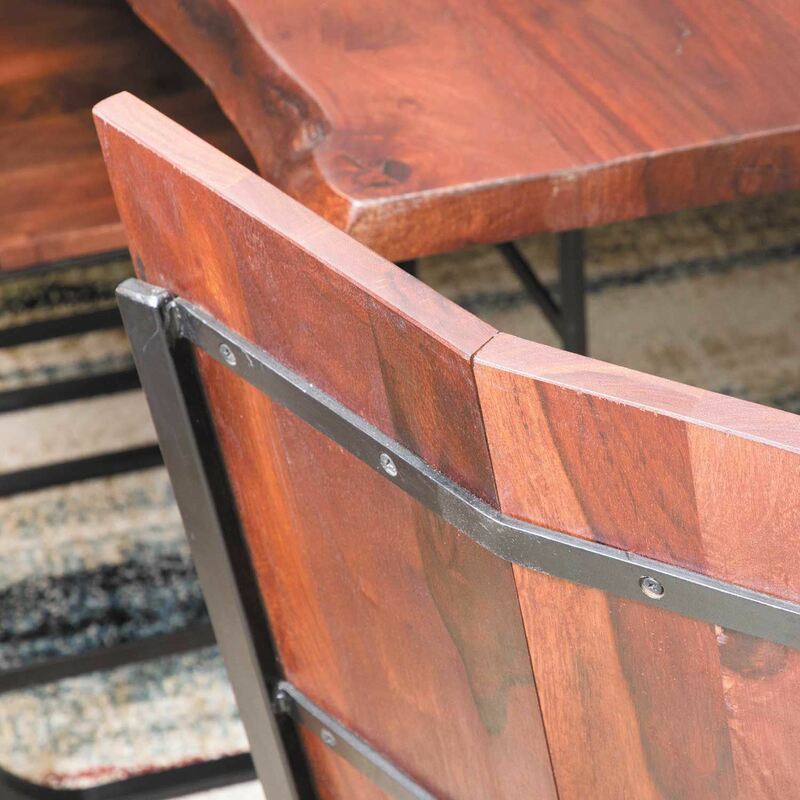 Bring a sleek, industrial vibe into your home with the Wood and Iron Chair by Shivam. 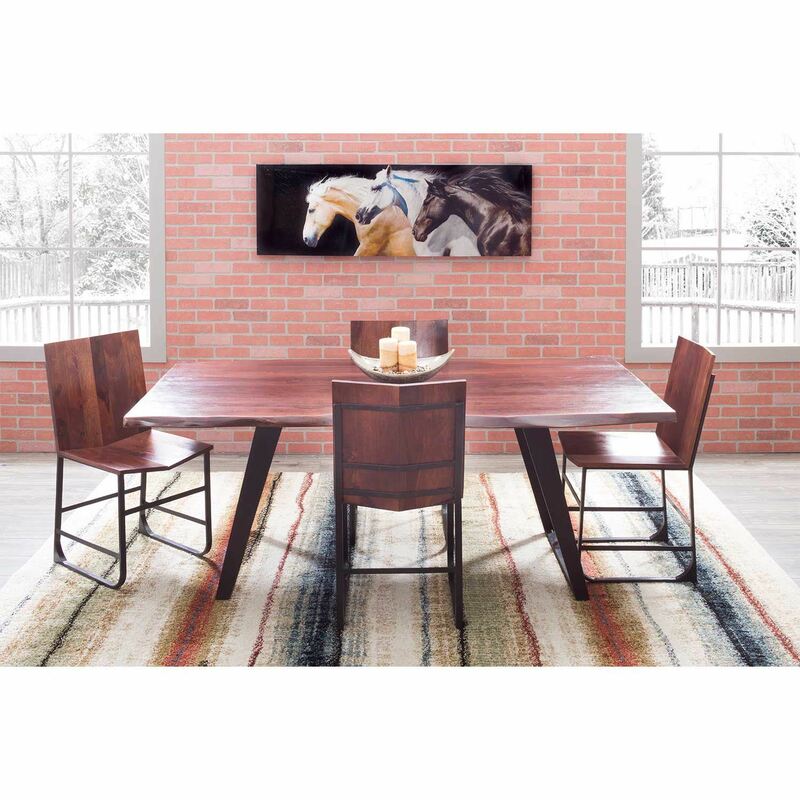 This chair features a clean-lined silhouette with a simple planked wooden seat and back atop a metal base. 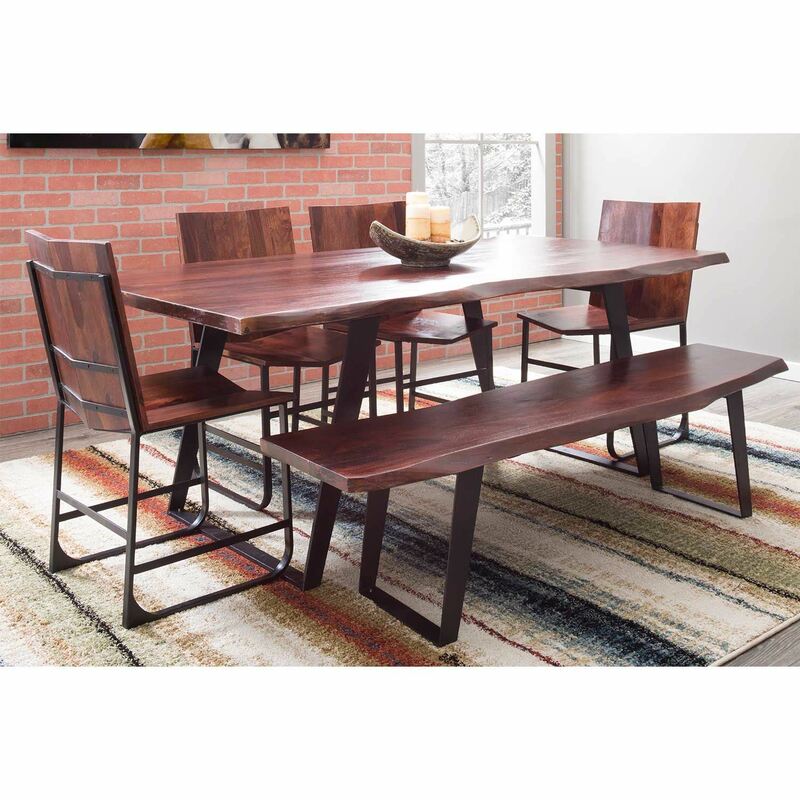 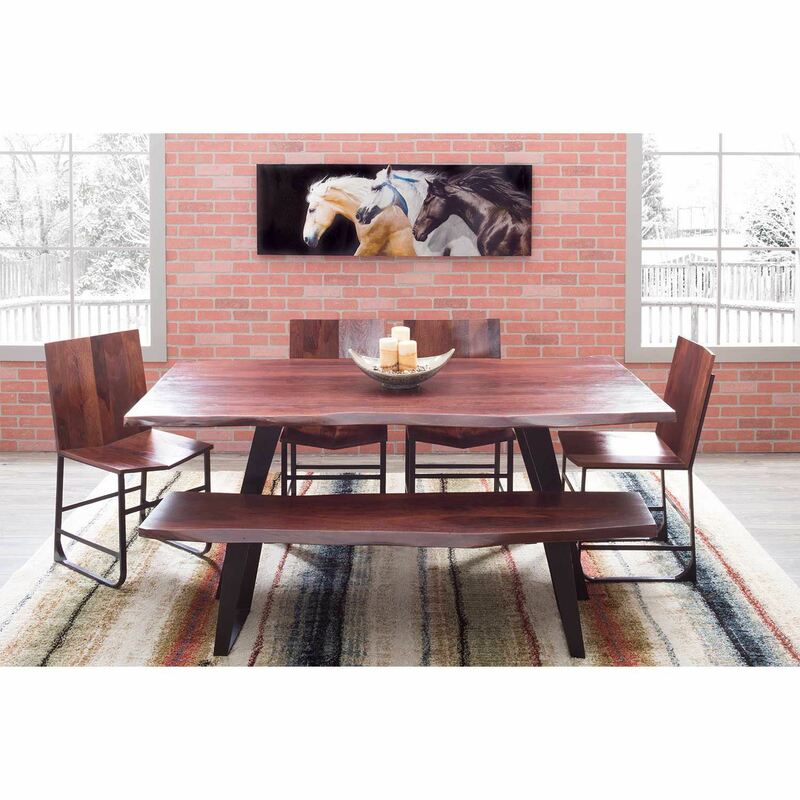 The wood features a rich brown finish that highlights it’s natural beauty. 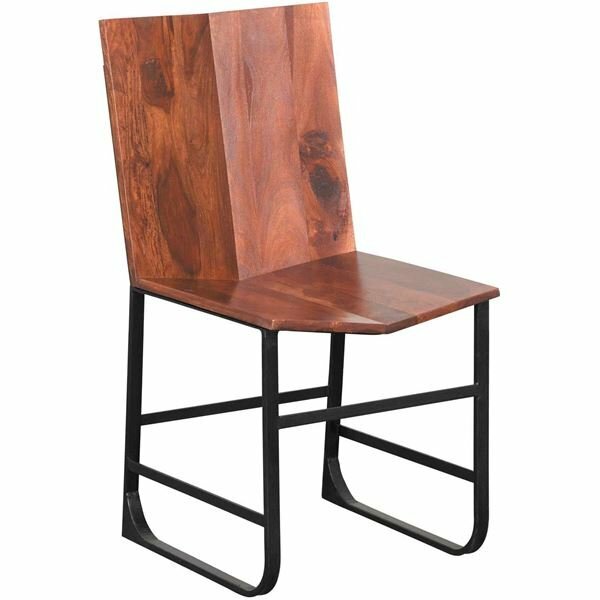 Bring a sleek, industrial vibe into your home with the Wood and Iron Chair by Shivam. 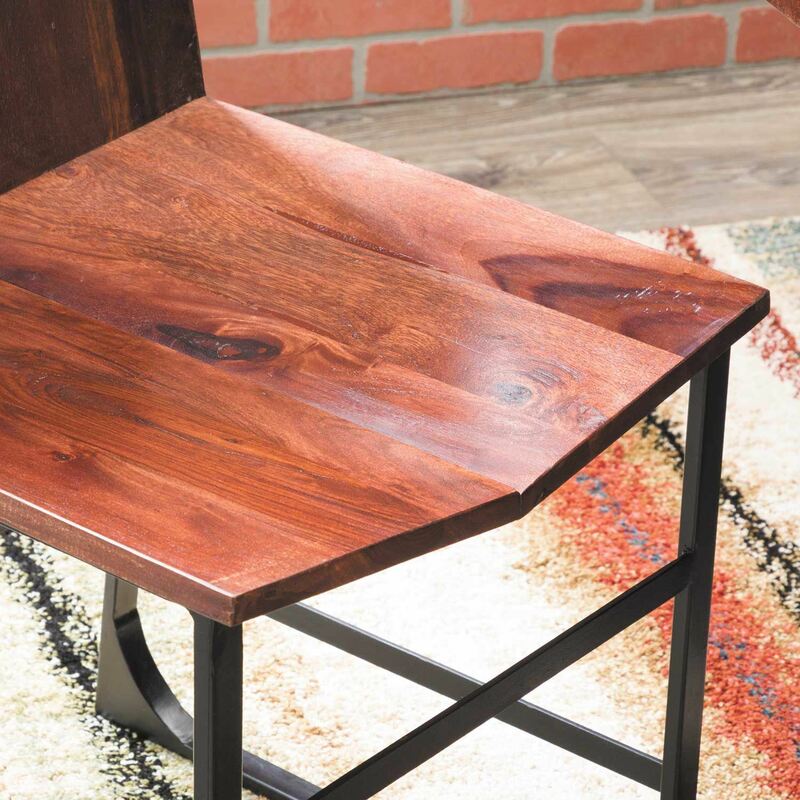 Wood and Iron Chair by Shivam.